American Airlines is starting scheduled flights with the first of its 100 new Airbus A321neo aircraft on order. 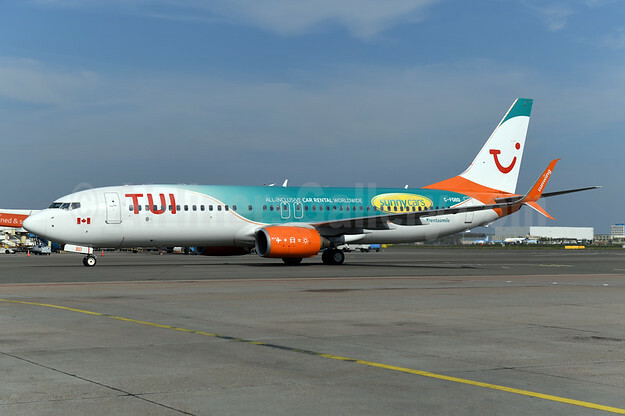 These aircraft come equipped with an all-new cabin interior designed for enhanced passenger comfort and convenience, including larger Airspace XL overhead luggage bins that increase carry-on bag capacity. 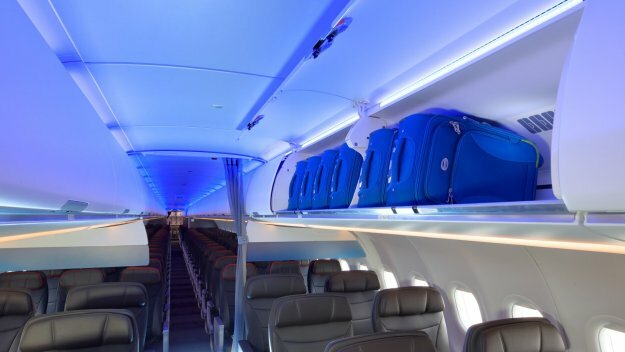 American is the launch customer for the Airspace XL bins, which provide approximately 40 percent more overhead storage space for passengers on board the 196-seat aircraft. In addition to equipping its new A321neos with the XL bins, American also plans to retrofit its entire in-service fleet of earlier A321 models – more than 200 aircraft – with the cabin features included on the new A321neos. The Airspace XL bins accommodate larger luggage – up 24” x 16” x 10” – allowing standard roll-on bags to be loaded on their sides instead of being inserted flat. This creates room for up to four bags in each bin instead of the current three. The larger bins will significantly reduce the number of passenger bags checked at the gate, and sent to the cargo hold. American‘s selected cabin layout allows the airline greater flexibility in seating arrangements and use of cabin space. The two class cabin will gain an additional row of first-class seats, bringing the total to 20. Outfitting the A321neo with a free wireless inflight-entertainment (IFE) system allows passengers to select a wide-range of options from their own devices. LED mood lighting will enhance the cabin environment. Powered by CFM LEAP-1A engines and ETOPS certified for lengthy over water flights, the A321neo will allow American to carry larger loads on its longer, more densely travelled routes such as Los Angeles and Phoenix to Orlando, or West Coast hubs to Hawaii. The A321neo is the largest member of the A320 Family, seating up to 240 passengers, depending on cabin configuration. Incorporating the latest engines, aerodynamic advances, and cabin innovations, the A321neo offers a reduction in fuel consumption of at least 15 percent per seat from day one and 20 percent by 2020 as well as a 50 percent noise reduction.